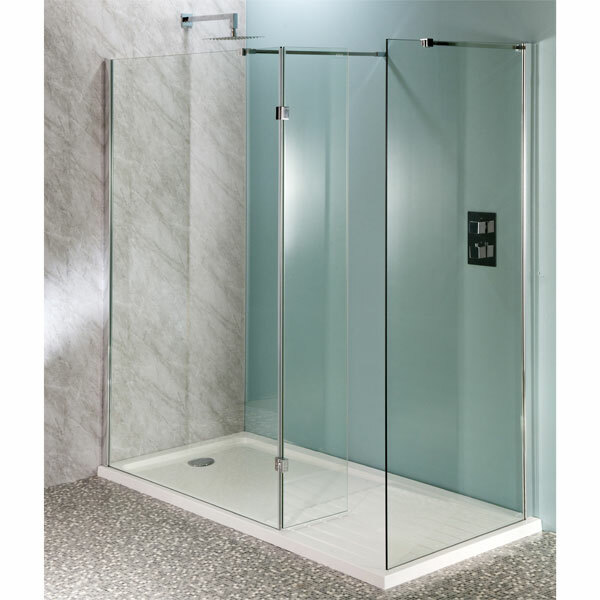 10mm glass wetroom screens have never been so affordable. 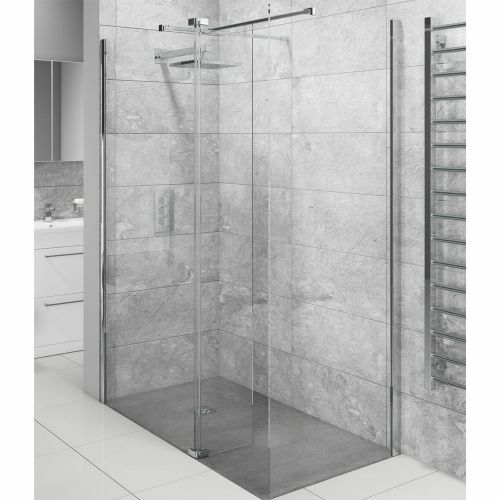 From as little as £159.99 you can install a 2000mm tall contemporary shower screen from Aquatech that is both functional and beautifully minimalist. This glass has also been treated with Clean Coat and easy clean glass treatment that prevents the build up of limescale and soap deposits. Each screen comes with a stainless steel support arm which incorporates a rotating arm. This can be affixed to the same or an adjacent wall. 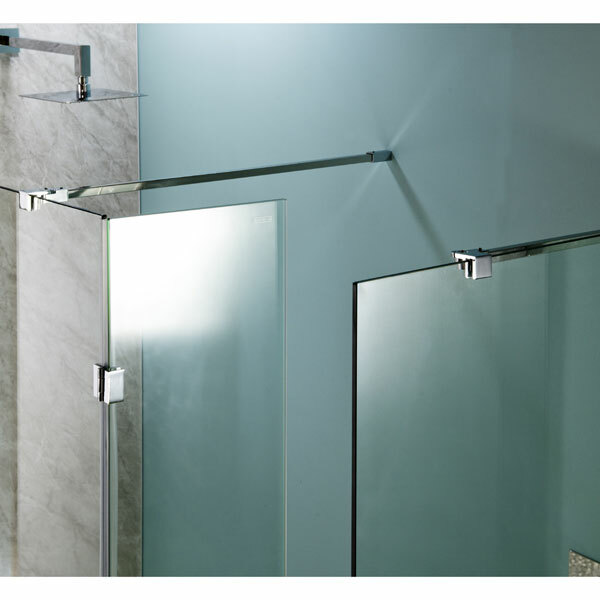 If you purchase 2 screens we also supply a free T-Joint to join the 2 supports together. 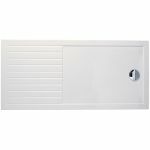 All manner of installation sizes can be achieved either on a tray or on a wetroom floor. We also offer a hinged return panel should you want to create a 3 screen setup, this helps to capture water spray and also creates a wrap-around environment. 10mm glass is extremely heavy, with that in mind we ship via a 2 man delivery team for no extra charge. 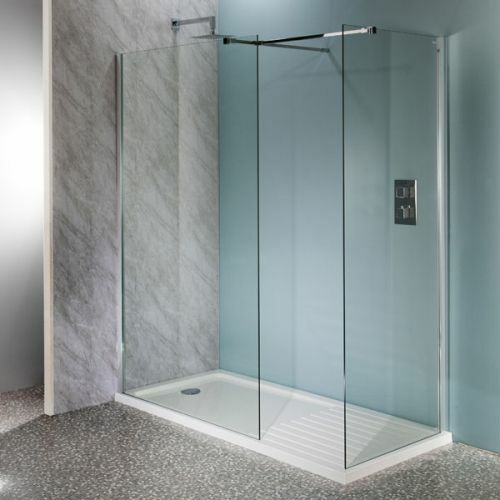 For a coordinated look choose a matching walk-in shower tray with drying area. 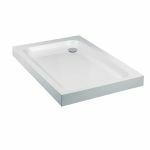 These are of stone resin construction, come with matching 90mm high flow waste and are available in 3 popular sizes. 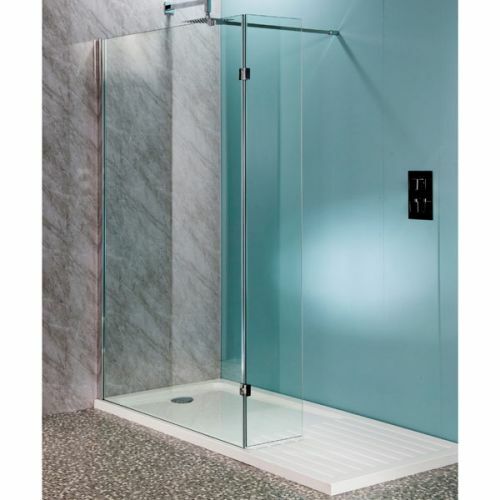 These are also available with a riser kit should your plumbing need to be installed above ground. 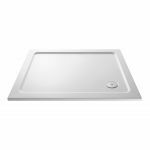 There are also more tray options in our shower tray section. T-piece is provided when more than one screen is purchased and is required. Looks far more expensive than it is once installed. We're really pleased. It's a heavy piece of glass but looks really good now it's fitted. Wish I'd bought a bigger size though. Might add the flipper at a later date.